With all of the hustle and bustle that comes with living in Chicago, it is important to find a place where one can unwind and escape the stress of everyday life. Luckily for us, we have access to an incredible oasis right here in Roscoe Village! 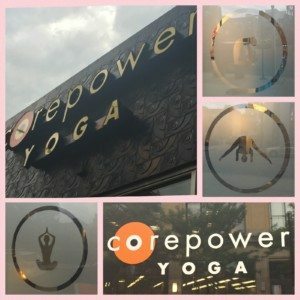 Core Power Yoga is one of Sugar Fix‘s favorite go-to places to play and Namaste. Located on the corner of Melrose and Lincoln, this studio offers an abundance of classes that are sure to work with every schedule! Are you the type of person who likes to get your workout out of the way before your day gets too hectic? If so, then the 6:00 AM “Hot Power Fusion” session may be the perfect way to kick-start your morning! Are you new to yoga and need a class that is later in the evening? Perhaps the 7:45 PM “C1” class will fit your needs! One of the greatest aspects about this studio (besides the fact that it is only blocks from The Loft) is that new students have the privilege of experiencing an entire week of classes for FREE! <a href="https://www meilleur site cialis en ligne.sugarfixdental.com/about/lakeview-dentist-team/”>Nicole and Hannah recently took advantage of this offer and absolutely loved every class they took! Each instructor offers assistance (only if you want it) and brings individual flair and fun to each session. Hannah’s favorite class was Yoga Sculpt, which combined the basics of hot yoga and added weights to allow for deeper strength and conditioning! We highly recommend this Roscoe Village gem and encourage each of you to escape the worries of the world by taking some time for yourself.